We all know that offroad vehicles have have go anywhere but the same couldnt be said bout bikes. But here is the Taurus 2x2. 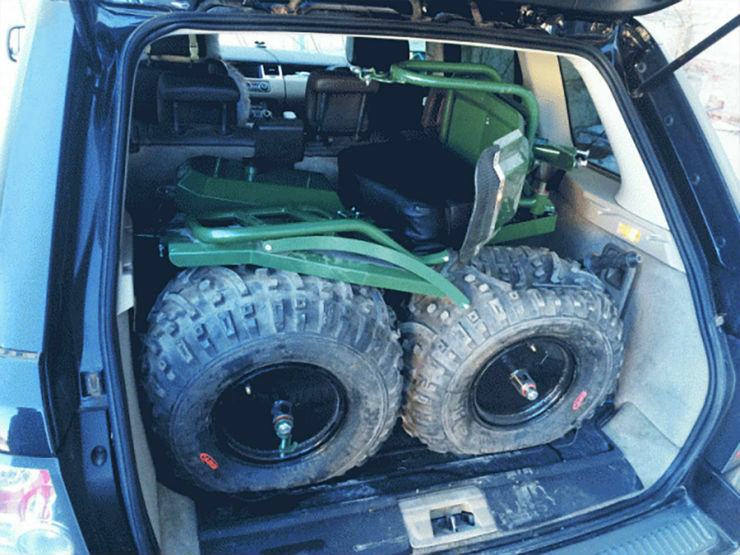 It is powered by both the front and rear wheels. The design is inspired from a manufacturer based in the USA called Rokon but with one big advantage with Taurus is that it can be folded. 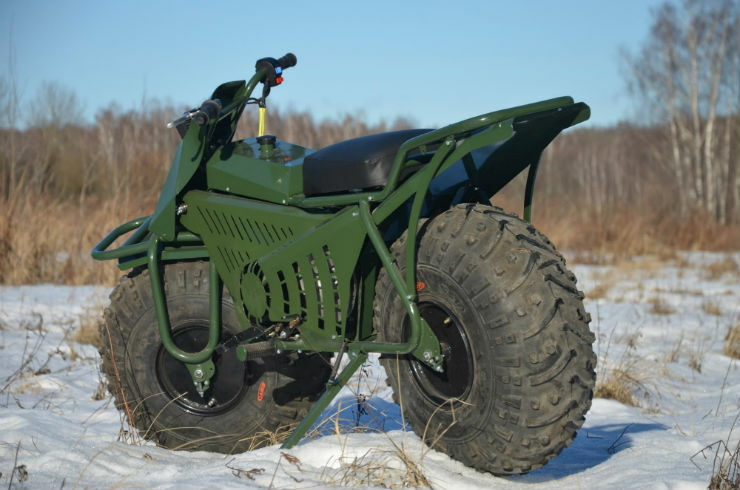 The off-road capable motorcycle comes with unusually huge tyres and based on the variants, it weighs only 47 kg or 74 kg. The lighter variant comes with lower powered engine and less capable tyres when compared to the heavier variant that has heavy-duty rubbers for the purpose and a better engine. The super light weight combined with chunky tyres make it very easy to reach the most difficult spots on the planet. However, there is no front or rear suspension on the motorcycle and the tyres are the only suspensions that the motorcycle gets. The company announced that the tyres cannot be exceed 3 psi for the same reasons. 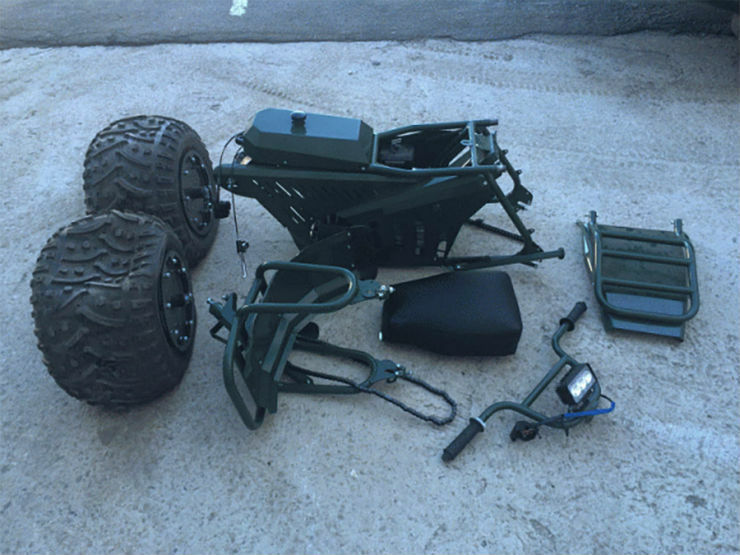 The lightweight of the all-terrain vehicle is possible because of the hollow frames and pipes. The frame itself weighs only 5.9 kg. 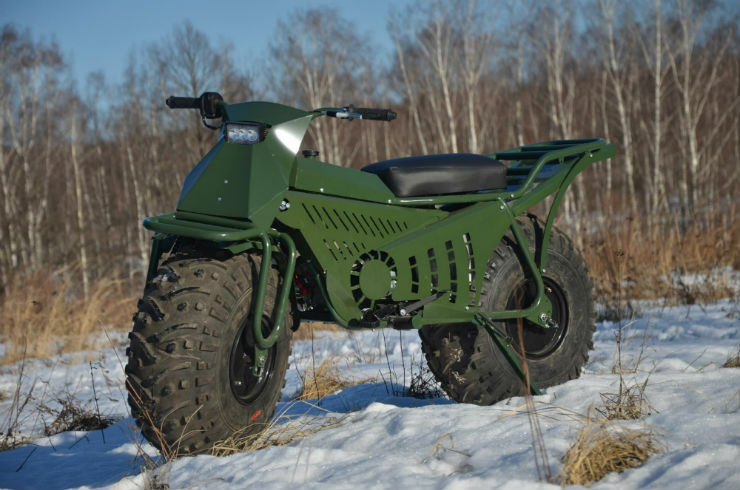 The heavier variant of the motorcycle is powered by a Honda GX210 engine. The Honda-sourced engine is smaller and lighter than the industry standard, which allows the all-terrain vehicle to be so lightweight and agile. The lightweight version uses a motor from chainsaw. The motorcycle can be taken apart within few minutes and can be stacked neatly in the boot of your car. Also, the hollow parts of the motorcycle help it float, which makes it very easy to clean by just dipping it in water. 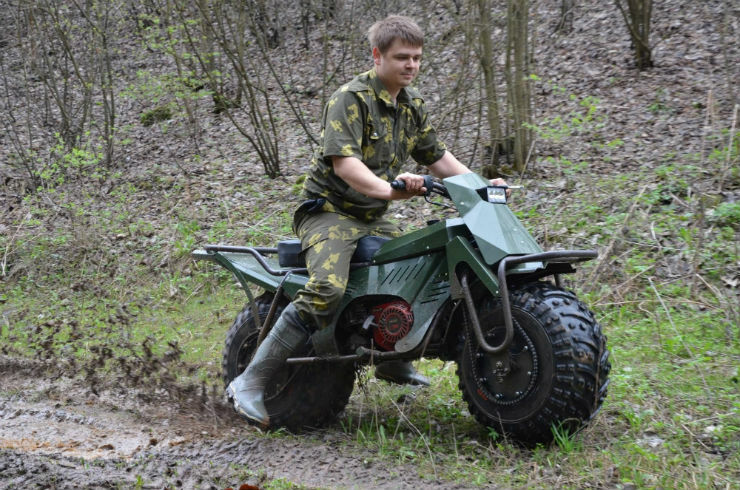 The lightweight motorcycle can be picked up easily if you get stuck at all.